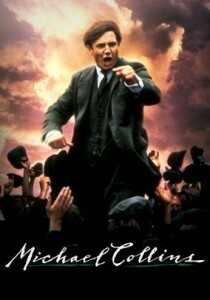 Of course, in real life it was a farce, and far from popular among the Irish people. Many Irish had relatives fighting in the British Army during World War I, and the feeling of many in the Empire was that the Rising was a unforgivable stab in the back while Great Britain was fighting for its life on the battlefields of Europe. In some areas, Irish civilians physically fought with the Volunteers, and some were even killed. 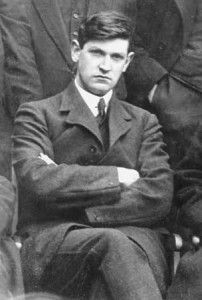 In actuality, it was a rather pathetic spectacle, with a tinpot army marching about in uniforms while their own nominal leader (Eoin MacNeill ) tried to stop it. Michael O’Meara writes in “Cú Chulainn in the GPO ” in Toward the White Republic that the violent birth of the Irish Republic was no accident. It the living out of a myth , a “noble Ireland won by violent, resolute, virile action” inspired by “millenarian Catholicism (with its martyrs), ancient pagan myth (with its heroes), and a spirit of redemptive violence (couched in every recess of Irish culture)” (p. 55). In the American experience, there are already proto-nationalist “governments” and states in exile. Harold Covington’s “Northwest American Republic ,” the “Southern National Congress,” and the League of the South, and innumerable other would-be Founding Fathers make claims to be the political expression of various peoples. However, without the blood sacrifice, and the “recognition” granted by the military repression and extreme political reaction, such movements remain in the realm of myth . 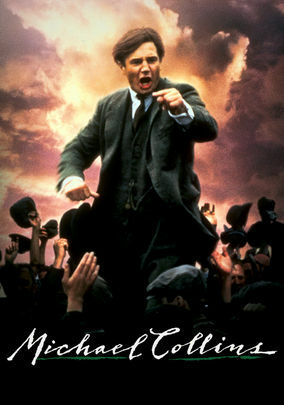 In fairness, Michael Collins never fully reconciled himself to the division of Ireland. At the time of his death, he was planning a new offensive  in the North, this time with the backing of state power. Again, to turn to Alinsky, this is the proper course of action given political realities. Revolutionaries should always be ready to accept incremental gains, but should also continue moving the goal posts until they reach their ends. Certainly, the Left has been a master of this over the last century, as each new concession simply fuels the demand for more surrender by conservatives.